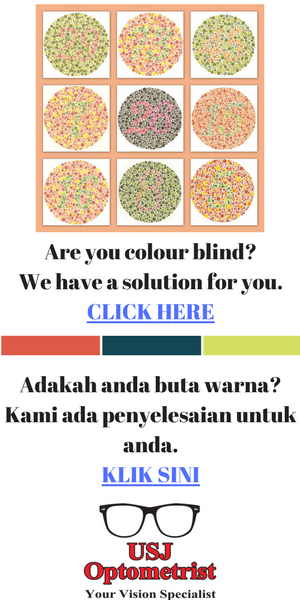 If you drive a vehicle in Malaysia, either a car, motorcycle, van, lorry, bus etc, sooner or later you are going to get a traffic summons from the Polis Di Raja Malaysia (PDRM). You can be summoned for many traffic offences, big or small. Most probably, you will be summoned for parking offences, speeding, simple traffic violation etc. In fact, the most common traffic offense in Malaysia is driving without a license or driving with an expired driving license. Lately, a lot of van and lorry drivers have been summoned by the Polis because they were driving without a Goods Driver’s License (GDL). If you’ve gotten a Malaysia police summons, what should you do? Well, firstly, you can always make an appeal. To do this, you have to go to a police station nearest to you and speak to the officer there. Sometimes if you are lucky, you can get a discount of your traffic summons. How would you know if you have a traffic summons? You can actually check your traffic record status online. First, you can check your traffic summons status by using the services from MyEG. Go to their main web site at www.myeg.com.my. If you don’t have an account, you have to register with them. 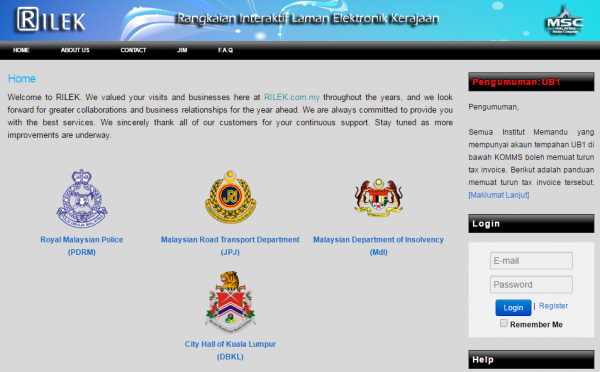 When you are inside the portal, click on the “PDRM enquiry & Payment” option. Next, do a search by entering either your identity card number, passport number, company registration number or vehicle registration number. Click on the “Check Summons” button. If you have a Malaysia police summons, the record will show up in the search results. The next step is obviously to make a payment. You can pay your summons using either bank transfer or with your credit card. Singapore citizens can now check if they have traffic summons in Malaysia and make payment using their credit card. The second option to check your Polis summons online is through Rilek. You can visit their main web site at www.rilek.com.my. The service at Rilek is limited. You can only check the traffic summons but cannot make payment. Nonetheless, yon can use them as an alternative to MyEG. 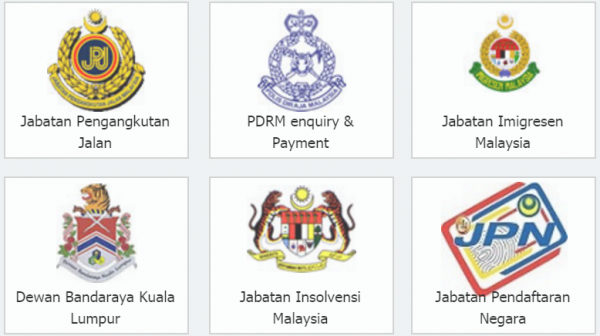 When you are at Rilek main site, select the Polis Di Raja Malaysia (PDRM) option. Next, create an account with them with your email and password. When you are inside Rilek, click the drop down menu “Search By” and enter your information. If you have a Polis summons, it will be shown in the search results. The third option to check if you have Polis traffic summons is to use smartphone apps. 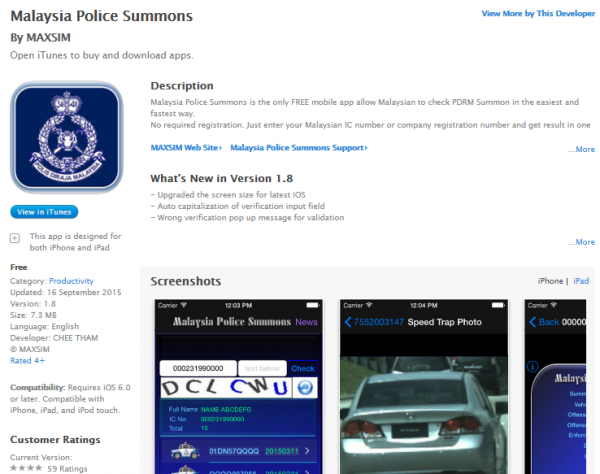 For Apple iPhone users, you can download the Malaysia Police Summons app by MAXSIM. Click the link below to download the app from iTunes. If you are an Android user, you can download the Malaysia Police Summons apk from the link below. If you have any traffic summons from PDRM, my advice is, pay up. If you have many outstanding traffic summons, the end results can be quite bad. Your driving licence can be suspended or blacklisted. For Singaporean, you can enter into Malaysia but you may not be allowed to leave at customs checkpoint if you have may outstanding traffic summons. I’ve already listed 3 ways how you can check if you have Police summons online. Now you have no excuse not paying them. How to check a person got black list and cannot go out the country? I got a summons for driving without a license. My court date on the summons is next week. Problem is I’m in Keningau, Sabah. My court date is at Sepang. Can someone help advice if there is a way to change venue? I want to settle this and start my driving lessons.